Inca is an industrial city located in the plains of the island of Majorca, with its population of about 30,000 inhabitants, the town of Inca is the third largest city on the island after Palma and Manacor. Administratively part of the Inca County of Raiguer which is the main town and - unofficially - the capital. Inca is an industrial city whose specialty is the leather industry, especially the shoe. The city is quite dull and unattractive on the tourist map, it runs a little on Thursday, market day, and the Fair of the Good Thursday (Dijous Bo), when hordes of tourists are discharged by coaches agencies tourism. The name Inca seems to come from the name of the town in the Moorish occupation, "Inkan". Inkan means "hill" in the Berber language. 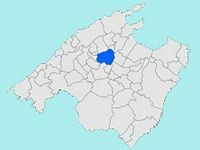 Inkan was then the seat of one of the twelve districts of the Muslim Mallorca, the "juz" of Inkan which included Inca, Mancor de la Vall, Selva, Campanet, Búger and Sa Pobla. Inkan had a market and a mosque. The Inca city is located in the center-west of the island of Mallorca, at the foot of the mountain range of the Serra de Tramuntana. 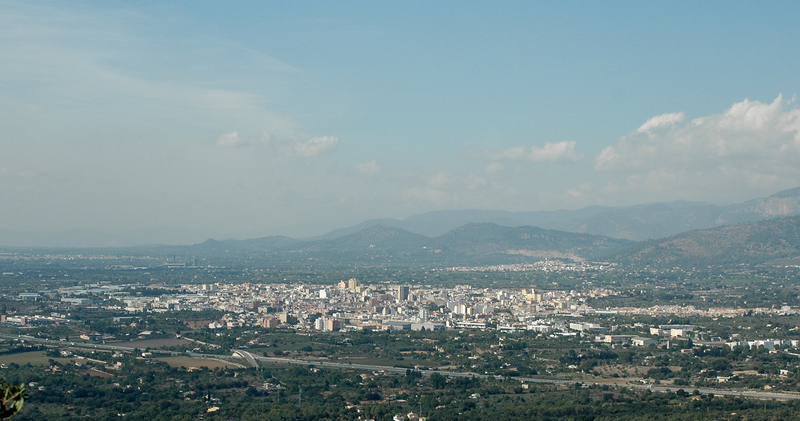 The average altitude of the town is 130 m.
The city is almost midway between Palma de Mallorca, 35 km southwest (about thirty minutes by car) and Alcúdia, 24 km north-east. The town of Inca borders the municipalities of Binissalem, Lloseta, Selva, Campanet, Búger, Sa Pobla, Llubí, Sineu, Costitx and Sencelles. Travelers transiting from Palma to Alcúdia by the highway Ma-13 are hardly tempted to make a detour to visit the Inca city: Inca seems like a sprawling city, industrious and dusty, congested by traffic. The city does not have, in fact, a large number of historical monuments, but it has, in recent years, efforts to enhance its historic center, prohibiting traffic in some streets and renovating old houses. This allows pleasant walks along the Carrer Major to Plaça de Santa Maria la Major, where the parish church of the same name, but also some fairly quiet café terraces. The historical center also has a few houses, easily recognizable by their inputs stone arches. It is in this area that we can discover the "cellers" typical restaurants located in old wine cellars, offering traditional Majorcan cuisine. The parish church of St. Mary Major Inca was built from the eighteenth to the nineteenth century to replace the previous church of Santa Maria demolished in 1706. 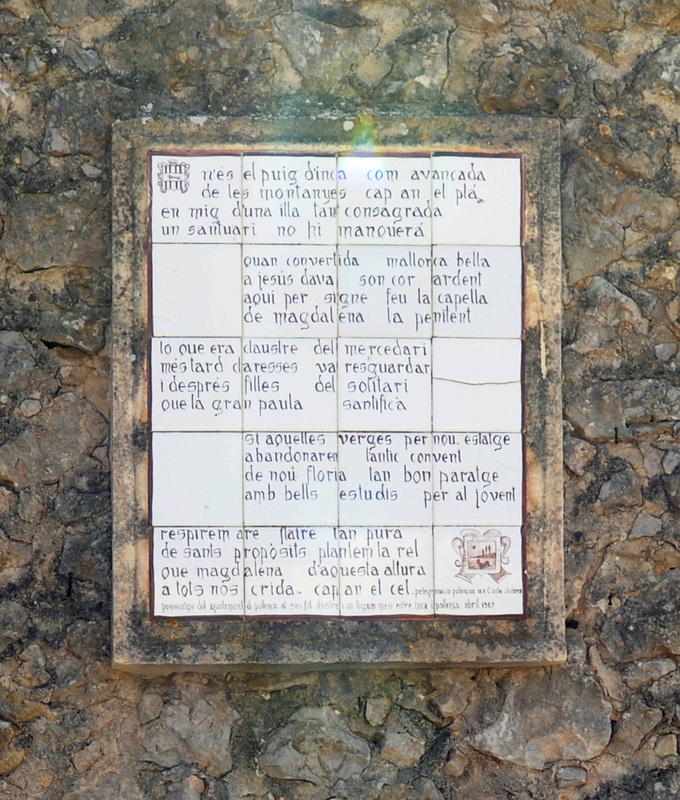 The first church of Santa Maria was built on this site in the thirteenth century, from 1248, shortly after the Catalan conquest of the island of Majorca in 1229, the church was built on the site of the mosque was Inca during the Muslim occupation. A second church was built in the second half of the sixteenth century to the seventeenth century. The construction of the present church of St. Mary Major lasted over 180 years and was not completed until 1893 ; its architect was Master Jaume Blanquer. The church of Santa Maria Major church is a typical Majorcan Baroque, with a rather plain facade, pierced by a rose window and open a neoclassical gate, without decoration, surmounted by a second smaller oculus. On the right stands the tower, dating from the sixteenth and seventeenth centuries, overlooking the Plaça de Santa Maria la Major bordered by an elegant gallery. The interior of the church contains several masterpieces, including a Gothic panel painting depicting the Virgin Mary, a work of the fourteenth century by Joan Daurer (1373). This painting - the oldest painting of Mallorca - is visible near the baptistery. Another notable work is the statue of St. Mary Major, carved by the Picard sculptor Pierre de Saint-Jean (Pere de Sant Joan) in the late fourteenth century or early fifteenth century. You can also see remarkable altarpieces of the Renaissance: the altarpiece of the "Name of Jesus" (retaule del Nom de Jesus) in 1587, the work of Gaspar Homs, and the altarpiece of "Saint Peter" (retaule de Sant Pere) from the sixteenth and seventeenth centuries and Baroque altarpieces: the altarpiece of the "Holy Christ" (retaule de Sant Crist) of 1667 and the altarpiece of "St. Sebastian" (retaule de Sant Sebastià) the seventeenth century. The construction of the Franciscan monastery Inca began in the first half of the fourteenth century, but the current buildings - Baroque - dating from the late eighteenth century and early nineteenth century. 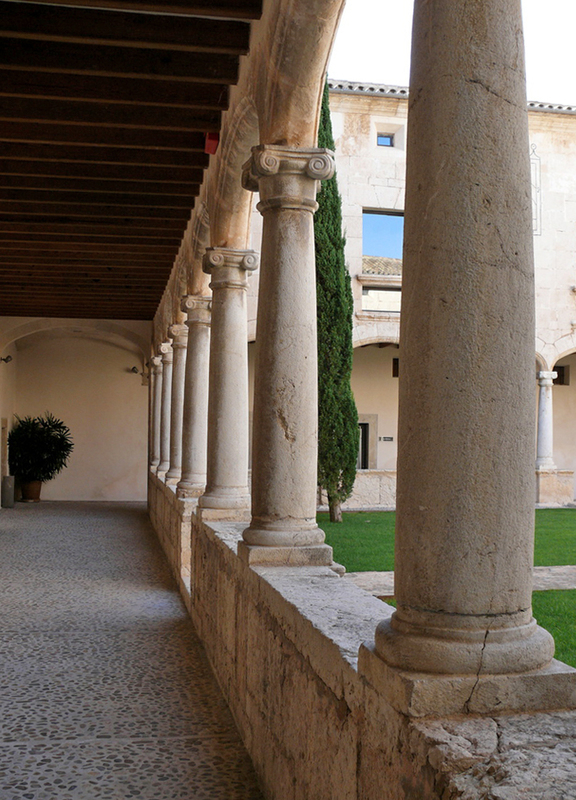 The cloister of the monastery is square and is surrounded by an arcade of seven arches on all four sides, in the middle of the cloister is a well baroque style of the eighteenth century (1747). The church of Sant Francesc is a building in spare style, with only a facade decorated with a large rosette and large scrolls at the top. The interior has a single nave divided into six sections, with side chapels. The church contains a treasure: a statue of "Our Lady of Grace" of the sixteenth century, sculptor and painter Gabriel Móger, the Mare de Déu de Gràcia. One can also see a Renaissance altarpiece, the altarpiece of the "Immaculate Conception" (retaule de la Puríssima Concepció) from the sixteenth and seventeenth centuries, as well as a portrait of the "Virgin of Hope" (Mare de Déu de l’Esperança) the seventeenth century. The monastery of Sant Francesc is south of the church of Saint Mary Major at the end of Carrer de Sant Francesc, between Carre del Vent and Carrer Blanquerna. The Dominican monastery Inca was founded in the early seventeenth century, in 1604. The buildings in the baroque style of the time, but it is a very bare Baroque, and the facade of the church of Sant Domingo, built from 1664 to 1689, almost smooth, without the usual ornaments Baroque such as statues, but with only a rosette of Gothic, the gate is flanked by two fluted pilasters with Ionic capitals, which support an entablature surmounted by a niche, in this niche is a statue of the Virgin giving rosary to St. Dominic. the Rosary Chapel (Capella del Roser), whose construction began in 1666, is the fifth chapel to the left on entering, it is covered with a barrel vault. The Chapel of the Rosary contains remarkable baroque altarpiece, although a bit overloaded with angels, flowers and fruit this altarpiece of the "Virgin of the Rosary" dates from the sixteenth century and comes from the parish of Santa Maria Maggiore. It is the work of Gaspar Homs, one of the most important painters of the fifteenth century Majorcan, which can be defined as Mannerist. The central panel of the altarpiece shows the Virgin Mary giving the rosary to St. Dominic and St. Catherine of Siena, around the central table the fifteen mysteries of the rosary are represented. In the central part of the summit, we see the figure of God the Father surrounded by clouds and the Holy Spirit represented by a dove. Interesting twisted columns decorated with grapes and vine leaves frame the image of the holy preacher. On the sides, there are images of Saint Bartholomew (the symbol of his martyrdom: the knife with which he was flayed alive), and Matthew, also with a spear symbolizing his martyrdom. In the top of the altar is the figure of St. Barbara, framed by small twisted columns, colorful, full of flowers and fruits. In the predella, we can see, in the middle, the appearance of the Virgin Mary to St. Dominic and sides, St. Abdon and Senen saint, the patron saints of the town of Inca, and St. Christopher with the Christ Child. the chapel of St. Vincent Ferrer (Capella de Sant Vicenç Ferrer) - the third chapel on the left as you enter - is decorated with an altarpiece of 1676, also in Baroque style. The central panel of the altarpiece shows the brother Vicenç Ferrer Dominican habit preaching Inca; Vincent Ferrer had delivered four sermons Inca in October 1413.
another baroque altarpiece altarpiece of Souls (retaule de les Ànimes), the seventeenth century. The altarpiece of Souls, smaller than the first two, is in the first chapel on the right. In the central niche is a Holy Christ, and on the sides, the images of St. Cosmas and St. Damian, and above, a Dominican saint. In a small hollow of the predella, there is a sculpture of the Pieta, polychrome sculpture of the late seventeenth century. Beside the church of Sant Domingo is the cloister, built in the first half of the eighteenth century (1730). This beautiful cloister square, with the four sides closed by seven segmental arches galleries in cart handles, supported on stone columns with Ionic capitals. The four galleries are covered by a beamed ceiling, with, in each corner, a vault. In 1835, the Dominicans were expelled by the anticlerical government of the Freemason Mendizábal. From that date, the Monastery of Sant Domènec experienced various purposes: it was used as a prison, and the elegant cloister was even used as an arena for bullfights. It now houses the municipal services, public library and an exhibition hall. 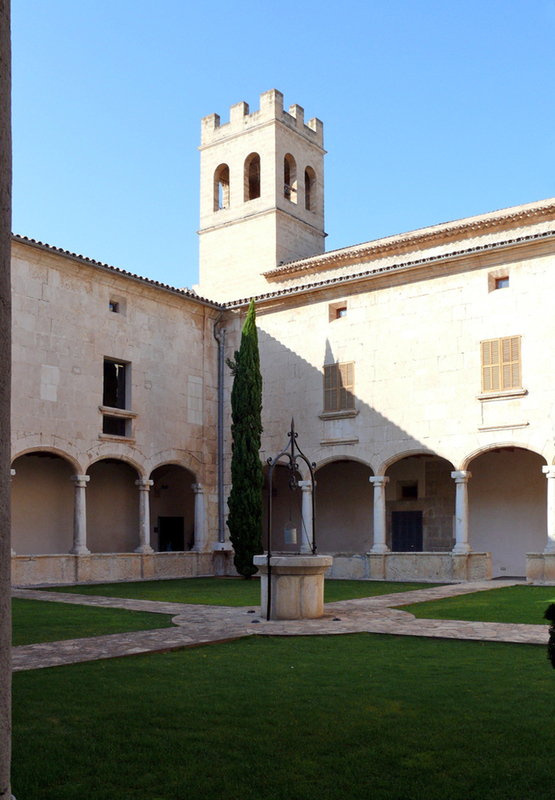 The monastery of Sant Domingo is at the beginning of the Avinguda de les Germanies. The convent de Sant Bartomeu stands on a hill on the northwestern outskirts of the city of Inca from the church of Santa Maria Maggiore simply mount the Carrer de Sa Font, then Carrer des Monges (Street Religious), the monastery is located after 500 meters, at the top of the Carrer des Monges at number 129. The Monastery of St. Bartholomew belongs to the Order of Hermits of St. Jerome, and was founded in the early sixteenth century, in 1534. The current buildings date from the late seventeenth century (1667-1702) and are in the baroque style of the time. The gate with arch gives access to an elegant cloister with an old hackberry and a well. The church has a single nave divided into four sections, and tiny lateral chapels. The monastery also has a large garden. 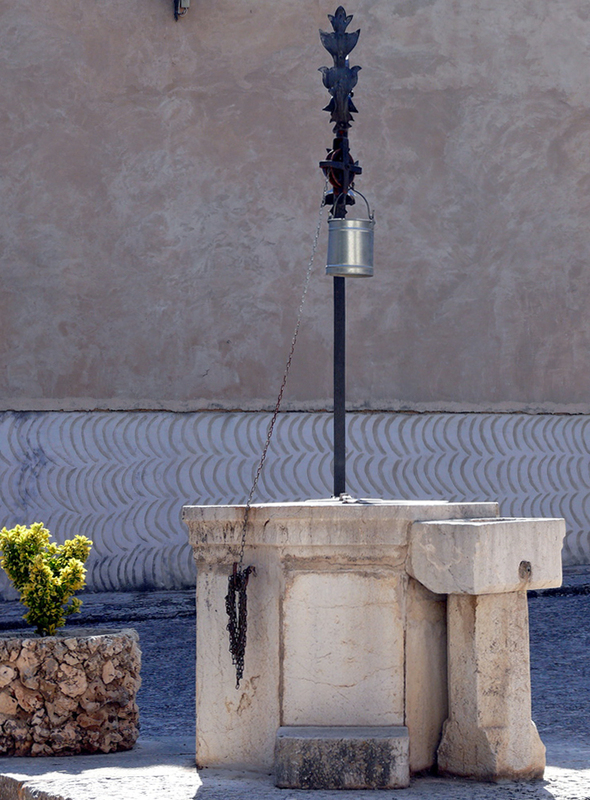 The small museum of the monastery of St. Bartholomew preserves important works of art: the "Holy Blood of Christ" (Sant Crist de la Sang), the fourteenth or fifteenth century baroque altarpieces of the "Virgin of the Candlestick" (retaule de la Mare de Déu del Candeler) and the "Holy Family" (retaule de la Sagrada Família) seventeenth century ; two Gothic panels by Pere Terrencs from the fifteenth century, and precious paintings by Llopis and son, from the sixteenth century. 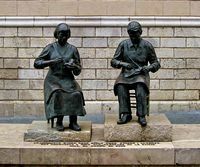 The nuns (Monges de Sant Jeroni), now numbering about fifteen, are contemplative nuns, they produce the best "congrets" typical biscuits from flour, sugar and eggs. 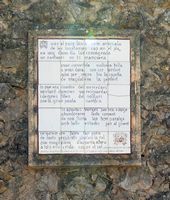 The memorial Sa Pota del Rei (the leg (of the horse) of the king) commemorates a story of the conquest of Majorca, mentioned in the "Llibre dels fets" (Book of Facts), the autobiography of Jaume I. A group of Moors, led by their chief named Xuaip, were holed up in the mountains of the Serra de Tramuntana and terrorized the new Christian settlers around Inca. King Jaume I the Conqueror came in person to solve the problem, but while chasing a group of these looters, the king’s horse slipped on wet rock and left a groove-shaped hoof. The king stood up quickly and cut to pieces the looters, he says that the larger pieces that remained were the ears. 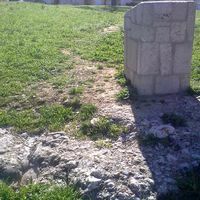 It can be seen on the rock near the memorial, a trace like the mark of a horse’s hoof. We reach the memorial continuing Carrer des Monges after the monastery of St. Bartholomew, then turn right into Carrer dels Molins (Street of the Mills), the memorial of Sa Pota del Rei is at the end of the street, in the public park Serral de ses Monges. 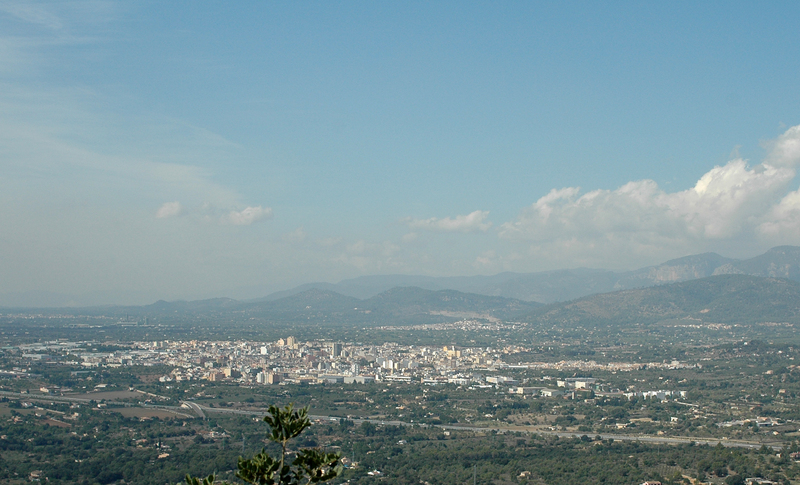 The site offers a beautiful view of the Serra de Tramuntana. The chapel St. Magdalene is a small medieval chapel on the top of Puig de Santa Magdalena, sometimes called Puig d’Inca, located 6 km north-east of Inca. 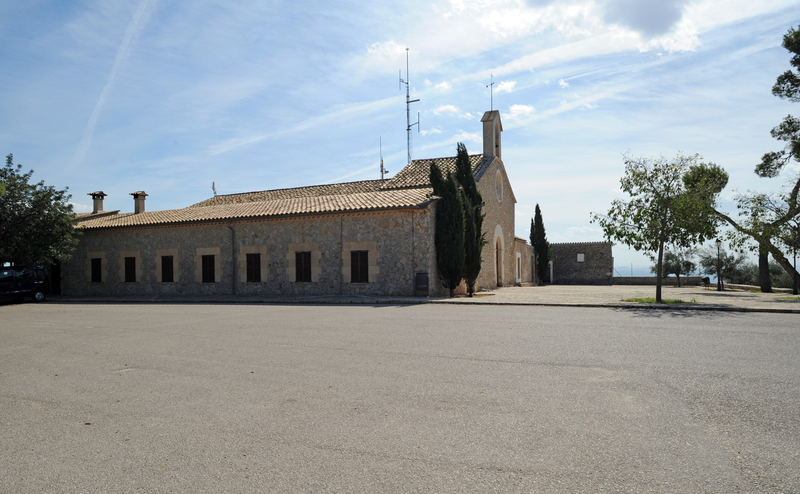 To reach the chapel St. Magdalene from Inca, you can take the road Ma-13 towards of Alcúdia, then turn right on a narrow road that climbs to the top of the hill at 305 m altitude. The construction of the Ermita de Santa Magdalena dates back to the fourteenth century, the original building was Gothic, but was rebuilt and expanded since. It has a facade of great simplicity, with a portal semicircular arch and a rosette, the facade is topped by a steeple. Inside, the nave is divided into four sections by diaphragm arches, the nave is covered with a wood coffered ceiling. Santa Magdalena is an important place of annual pilgrimage that takes place the Sunday after Easter, named in Mallorca "Diumenge del Angel" (Angel Sunday). The ermita has a hospice for pilgrims. only the view to the east is hampered by the oratory buildings and vegetation. 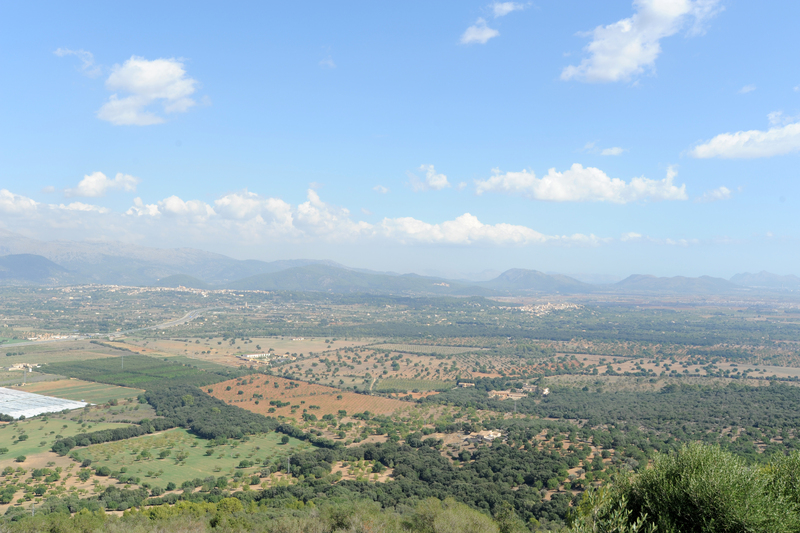 At the time of the Roman Empire, the town of Inca was a milestone on the highway connecting the two main settlements of the island of Majorca : Pollentia, in the north-east, near the present town of Alcúdia, and Palmera, in the southwest, today Palma. After the Moorish invasion in 902, Inca became an important market town and the capital of a district. Inca knew an important industrial and commercial development in the nineteenth century, notably with the development of the shoe industry. The region of Raiguer, Alaró, Lloseta, Selva, but especially Inca, is the center of footwear and leather goods in Mallorca. This tradition of leather work back to the early years of the conquest of Mallorca: the first workshops were created in the Inca region since 1240. In the fourteenth century, two types of workshops and cohabiting completed: those tanners who transformed the raw leather hides processed and stained, and those shoemakers who made ​​shoes. From the sixteenth century, however, hides better began to be imported from the New World, and many tanners had to stop their activity. In the seventeenth century, in 1652, an outbreak of bubonic plague struck the town of Inca, whose 2000 5,000 people died in a few months, it was a blow to the craft of shoe. It was not until the mid-nineteenth century the manufacture of footwear experienced a revival and became a real industry, by streamlining techniques and mechanization of production, including the use of steam, but these changes put many unemployed shoemakers. The arrival of the railway in Inca in 1875, facilitated the dispatch of a larger output to Palma, where it was then exported to the peninsula and to the colonies. The loss of these colonies after the war with the United States in 1898, hit hard the shoe trade, and it took some time before new markets were found in Europe. Inca has a shoe museum, housed in a former barracks of the city, located on the other side of the railway, Avinguda del General Luque, on the left of the street after going under the railway bridge. You can see an exhibition of machines and objects related to the footwear industry. 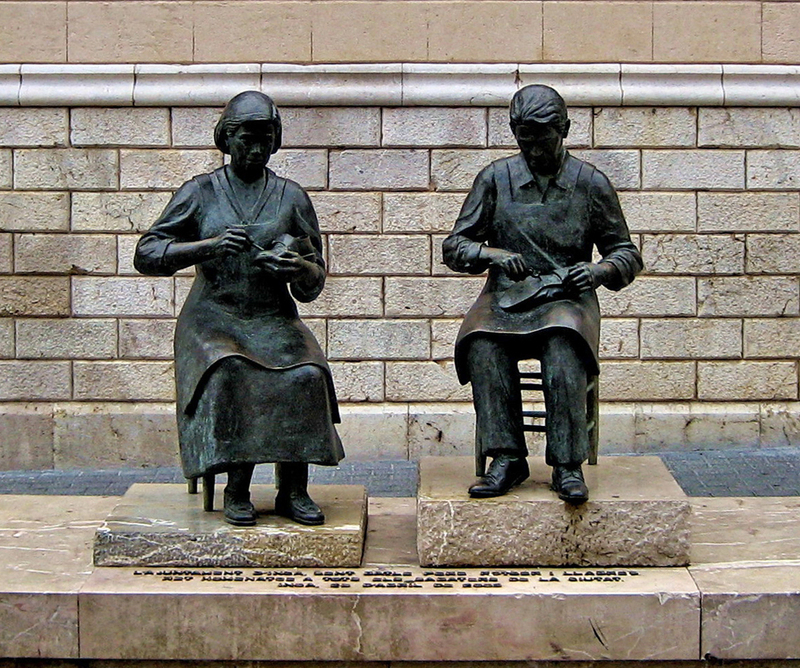 In the center is a memorial to the shoemakers of Inca. The tourist office of Inca is on the ground floor of the Town Hall (ajuntament). The Thursday market in Inca is one of the busiest of the island of Majorca, with the Wednesday market in Sineu. The Mercat is held in the streets of downtown. There are agricultural products and handicrafts of the region of Raiguer (leather goods…), but also - increasingly - souvenirs, trinkets and other trinkets to the crowds spilled from cars travel agencies to the market opportunity. The Fair of Inca (Fira d’Inca) is held once a year on the day of "Dijous Bo" (Good Thursday), the fourth Thursday after the Sunday after the feast of St. Luke (October 18)… in general the third Thursday of November. On the eve of Dijous Bo takes place Dimecres Bo (Good Wednesday), in which are held concerts and other cultural and festive events, and ends with a fireworks display. Fira d’Inca attracts more than 100,000 visitors. Many shoe manufacturers, installed in the Inca region since the nineteenth century, have boutiques or factories stores in Inca on the outskirts of the city. The choice of articles is interesting, but the prices in the shops are not much lower than those of Palma, the prices are more interesting in the outlet stores. 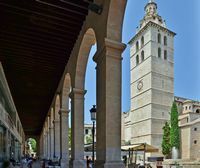 Inca is well served by rail: trains connecting Palma to Manacor or Sa Pobla make a stop in Inca. A small bus station is in front of the railway station. Many bus lines connecting Palma to Alcúdia, Cala Millor or Pollença make a stop in Inca. Inca is famous for its wine cellars (Cellers), where the wines were high at the time when the region produced wine from the seventeenth century to the nineteenth century, but the outbreak of phylloxera destroyed the vineyards in the late nineteenth century, and cellers were turned into restaurants. Their original function the cellers have retained some characteristics: they are usually cellars in the basement - to keep the wine cool and constant temperature - covered with a high beamed ceiling and furnished with large drums, wooden Olive and ringed oak, which now serve as decoration. The cellers, located in some of the oldest buildings in the city, serving traditional Majorcan dishes like "mallorquines sopes" (Majorcan soups), the "tombet" (a kind of stew) and "gato ametlles" (cake almonds). Can Ripoll is the former mansion of the Ripoll family, wealthy landowners and wine Inca owners, the building of baroque style, dates from the seventeenth century, but was rebuilt in the eighteenth century. It has a tower and a carved eaves. Besides the Can Ripoll is the Celler Can Ripoll, who was the cellar of the mansion, which is a huge cave covered with a high ceiling wooden beams and stone arches arched. The cave is deep enough and go down the stairs to reach the restaurant, this room features rustic wooden tables, arranged in front of huge oak barrels that are supposed to be over 200 years. The celler also has a terrace on the patio. The meals are hearty and prepared with fresh market produce dishes are classic Majorcan cuisine: suckling pig, lamb brains, fresh fish, eggplant, bean soup, paella and, of course, tapas. The Celler Can Ripoll is located in the city center, west of the church of Santa Maria la Major, Carrer de Jaume Armengol, at number 4. Hours: Monday to Saturday, from 9:30 to 16:00 and from 19:30 to 23:30. The cellar of the sixteenth century in the same category as the celler Can Ripoll. To the right of the entrance is the only preserved Renaissance window in the streets of Inca. A staircase leads down to the cellar with exposed beams and decorated with wine casks. Hours: Monday to Thursday from 12:30 to 16:00 and from 19:00 to 23:00. Price: from 20 to 30 €. This celler is installed in the basement of the old mansion of the Amer family. The dining room is surrounded by large wine barrels and covered with beams supported by solid pillars of sandstone. Specialties: suckling pig, lamb shoulder stuffed eggplant and sobrasada, cod confit in olive oil. Hours: Monday to Friday, from 13:00 to 16:00 and from 19:30 to 23:00. Price, around 25 or 30 €.